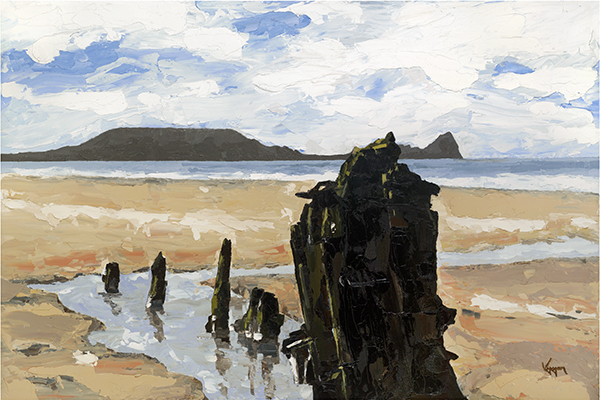 The carcass of the Helvetia shipwrecked in 1887 is today a landmark of Rhossili Bay. Each day, the mighty Atlantic Ocean continues to reveal the wreck. In 2015, I decided to add to my collection of shipwrecks by painting this beautiful historic scene of the remains of the Norwegian barque. The original painting is available to purchase as well as limited edition Giclee prints.